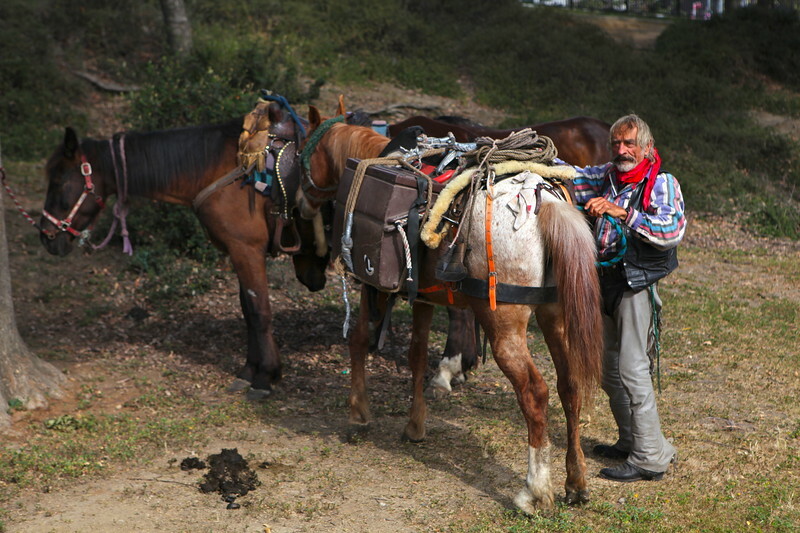 A cowboy named Doc Mishler rode into Los Angeles from Montana on horseback. I found him riding near the 7-11 at Wilshire and LaBrea. After visiting a bit, I helped him get water for the horses and find a place near The Grove to bed down for the night. It made for a great memory and some awesome photos.